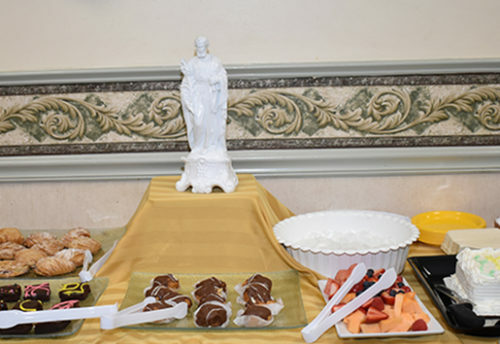 On the evening of June 5, the Little Sisters hosted the annual Dinner with the Sisters event at Queen of Peace Residence. 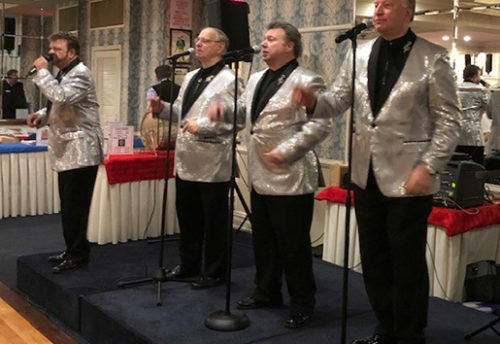 The dinner is an item appearing in the live auction portion of our Annual Golf Outing, which occurred on May 7. 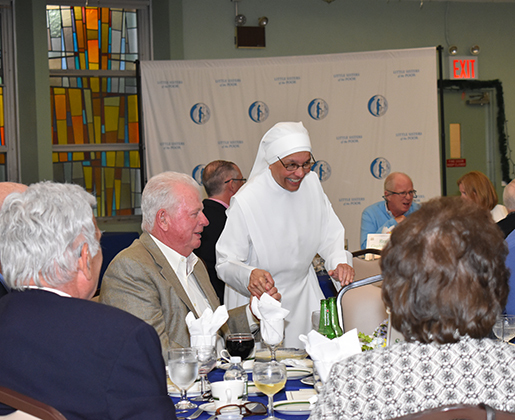 Our friends, old and new, bid on the chance to have a gourmet dinner served to them by the Little Sisters. 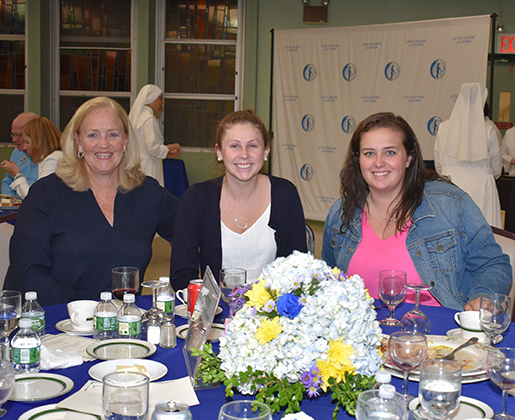 The dinner is prepared at Queen of Peace by Chef Peter Noto of the Hempstead Golf and Country Club, who donates his time and considerable talents to make the three course dinner exquisite. 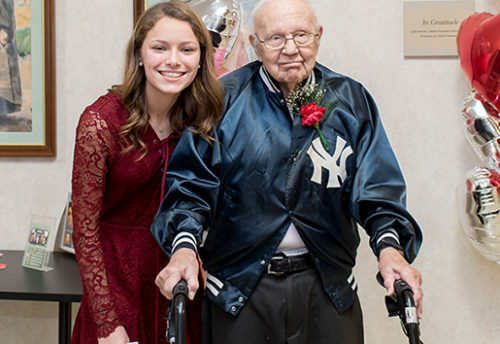 This year, the Little Sisters hosted and served 64 guests for dinner. 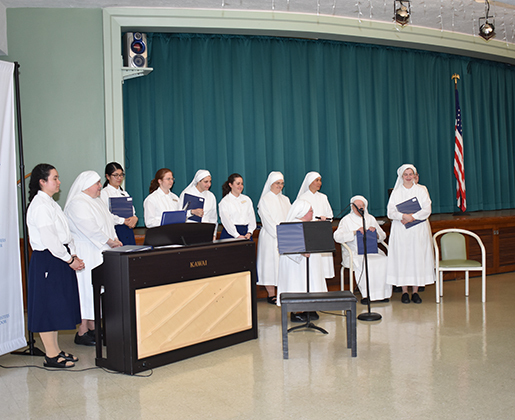 The highlight of the evening is a musical presentation from our Sisters, Novices and Postulates from St. Anne’s Novitiate which is adjacent to the grounds of Queen of Peace. After the beautiful singing, our guests stood, applauded and of course smiled. Our Golf Committee chairman, Joe Liana served as emcee for the evening assisted by Ed Kline who is a devoted member of our Golf Committee. Ed presented a check to Mother Mary Richards of the Novitiate, towards Novice education support from a portion of the proceeds from the Golf Outing. From all accounts, a good time was had by all! Thank you to all who made this lovely evening possible.